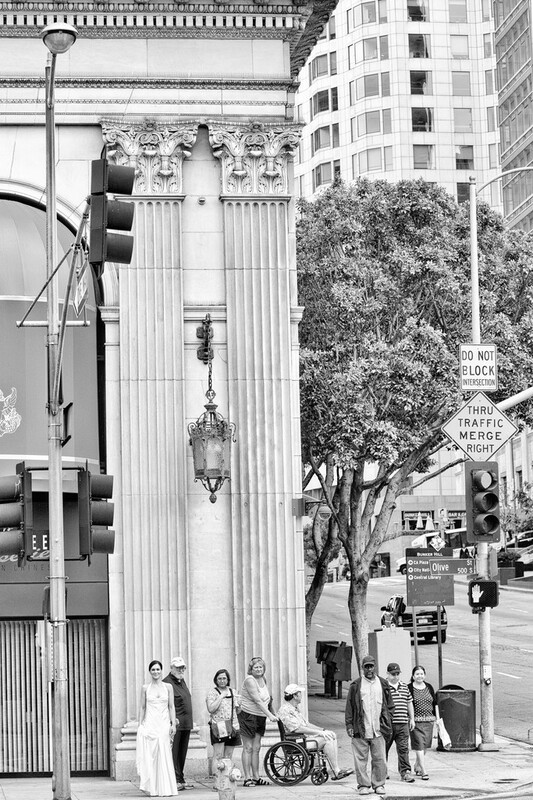 A typical scene on a Los Angeles street corner! Almost. When I caught this moment outside the luxurious Biltmore Hotel I was struck by how natural it all looked. The bride almost blends into the crowd. Almost.